Eisenhower’s Cadillac was being transported from the Sinsheim Technik Museum, where it’s been sitting for the last 6 years, to it’s owners in Offenburg. Whike travelling South on the A5, 2 cars driving next to the Cadillac crashed, pushing one of the cars into the trailer, which detached from it’s truck and fell on it’s side. 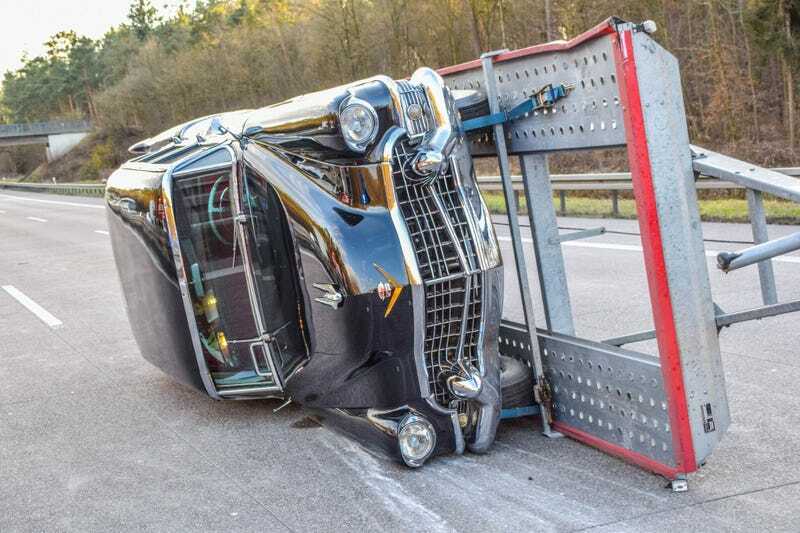 The Cadillac was still attached to the trailer, but suffered severe side damage.